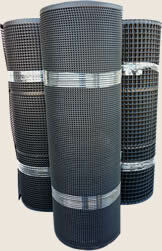 Becy Oyster Mesh Company has manufactured oyster mesh and sold its related products for more than 20 years. The mesh is specially designed for oyster seeds. On one hand, it can supply a safe growth environments for the oyster seeds. It can protect the seeds from the attacks of fishes and birds. On the other hand, it can prevent the spats from getting out of the netting. 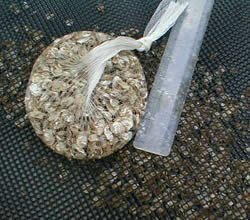 So if you want to breed oyster seeds, please buy the oyster seeding mesh. 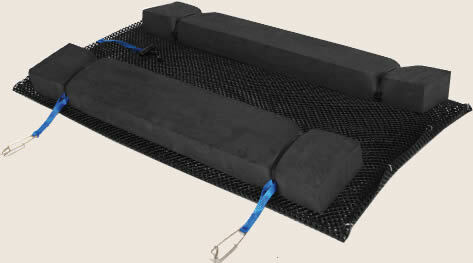 The float oyster bag is combined with the oyster mesh bag and the floats. The float has foam and air rubber types. It uses the floating way to breed oyster. In this way, it can make full use of the nutrient and oxygen rich surface of the water and make the oyster breeding easy and economical. So if you want to grow your oysters floating on the water, please buy the float oyster bag. It is a kind of bag that one end is pre-sealed and the other end is closed by hog rings. Because of one end permanently sealed, the sealed bag helps to save time and money. The sealed bags can be used in two ways. People often put the sealed bags on the metal shelves and also can use in the bottom of water to raise individual oysters. So if you are interested in the sealed bag, please have a try. 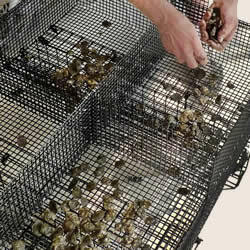 The oyster cage is a flexible way to raise your oysters, either floating on or at the bottom of water. The whole cage is built with heavy duty extruded high density polyethylene mesh. So it is durable enough in extreme weather conditions and environment friendly. Do not impact on other marine lives. We can offer you various sizes oyster mesh cages, and also can do cages according to your specifications. It is a machine mainly used to grade and tumbler your oysters. It is more efficient and reduce your labor cost. The whole machine is made of heavy gauge aluminum so that it is light weight. 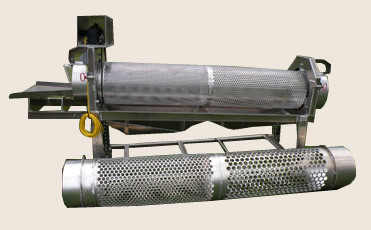 Besides, through grading and tumbling the oysters, the tumbler can remove many of fouling. The oyster sorting tumbler machine also can give oysters a clean appearance. So if you are always troubled by how to sort so many oysters, please take our sorting tumbler into consideration. Has a long life because of high-density polyethylene and UV stabilized materials. Corrosion resistance to reduce maintenance cost. Reduce the growth cycle to help you harvest more oysters. High efficiency to reduce the labor cost. 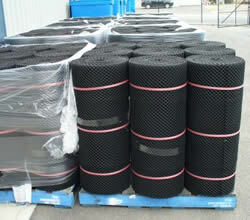 Top quality material purchased from professional manufacturer. Advanced machine imported from foreign. Skilled workers and technical teams to control quality. Perfect package to protect products from any risk. Professional oyster mesh manufacturer instead of the intermediary company. Through improving the technology to save cost. High-educated workers to improve efficiency and reduce production loss. Special transportation discount to save transport cost. All the materials are prepared well. Advanced machine to save production time. Use the machine to load rapidly, for example forklifts and loaders. Choose the most suitable transportation ways to save transport time. Float oyster bag is a floating bag which made from oyster bags, zip ties. It is a new effective way to increase the uniform oyster growth rates. 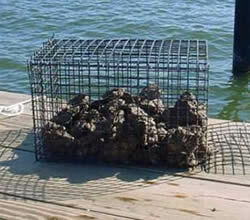 Oyster cages not only can float, but also can submerge to protect oysters during winter or hurricane weather. 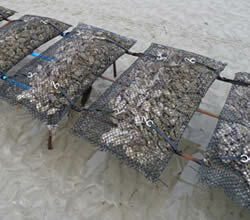 Oyster seeding mesh is designed for oyster seeds growing, and can prevent the seeds from getting out. Copyright © 2015 Becy Oyster Mesh Company Add: No. 289 Hongqi road, Anping County, Hengshui City, Hebei Province, China.